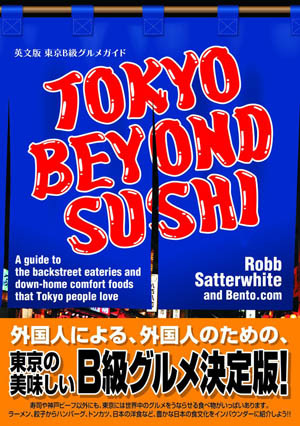 Unlike some skyscraper restaurants, this place has the energy and atmosphere of a down-to-earth izakaya. The food menu is impressively diverse, including soba noodles, kushiyaki (both yakitori and other meats on skewers), homemade tofu, "Kyoto-style oden," and lots of good seasonal specials. 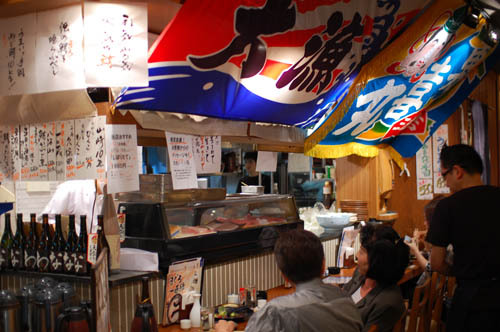 There are over a dozen different sakes to try; other drinks include awamori cocktails, shochu, beer and wine. Shinjuku-ku, Nishi-Shinjuku 2-4-1, Shinjuku NS Bldg. 29F.